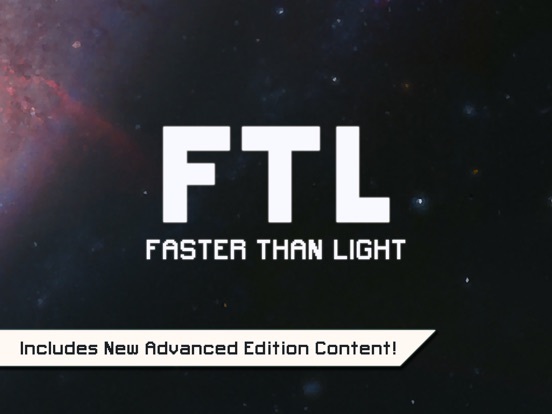 Faster than light es un juego de estrategia y gestión espacial que ya ha triunfado en PC y que llega al iPad con la misma fuerza. No te asustes por su precio ya que es un juego que vale lo que cuesta. 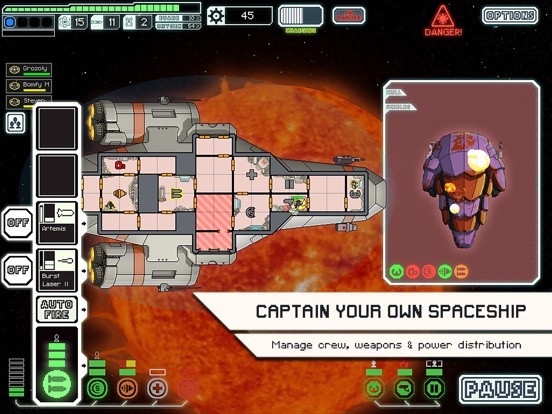 In FTL you experience the atmosphere of running a spaceship trying to save the galaxy. It’s a dangerous mission, with every encounter presenting a unique challenge with multiple solutions. 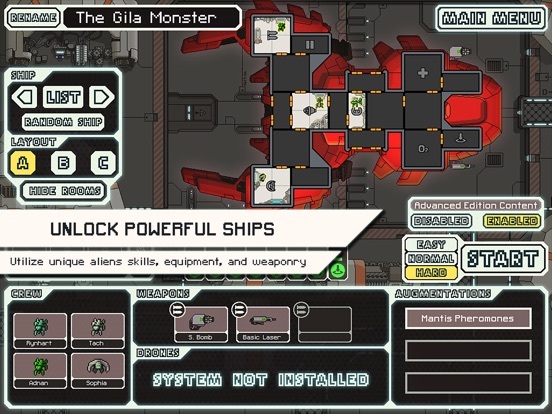 What will you do if a heavy missile barrage shuts down your shields? Reroute all power to the engines in an attempt to escape, power up additional weapons to blow your enemy out of the sky, or take the fight to them with a boarding party? 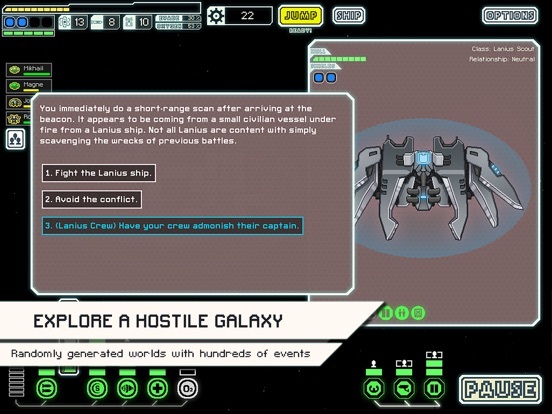 This “spaceship simulation roguelike-like” allows you to take your ship and crew on an adventure through a randomly generated galaxy filled with glory and bitter defeat. 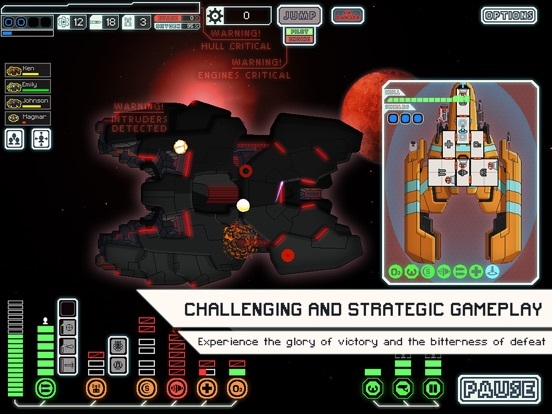 – Give orders to your crew, manage ship power distribution and choose weapon targets in the heat of battle. – Pause the game mid-combat to evaluate your strategy and give orders. – Upgrade your ship and unlock new ones with the help of seven diverse alien races. – Hundreds of text based encounters will force you to make tough decisions. – Each play-through will feature different enemies, events, and results to your decisions. No two play-throughs will be quite the same. – Permadeath means when you die, there’s no coming back. The constant threat of defeat adds importance and tension to every action. NOTE: Only compatible with iPad 2 or newer — Will NOT run on iPad 1!